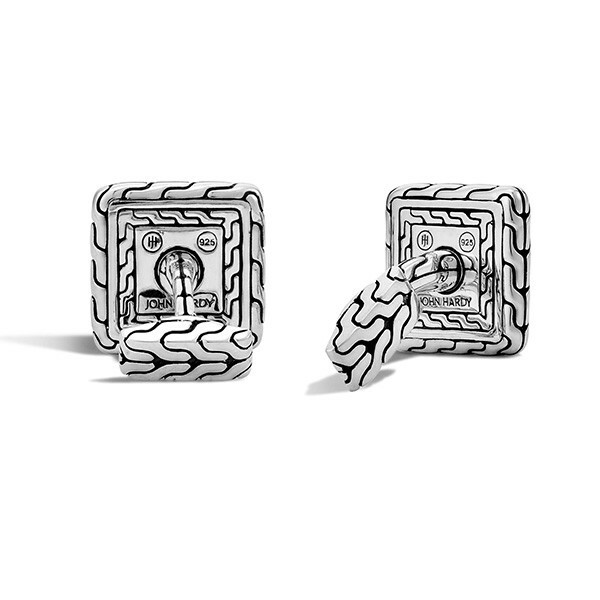 For the man in your life, these John Hardy cufflinks from the Classic Chain collection are spectacular. 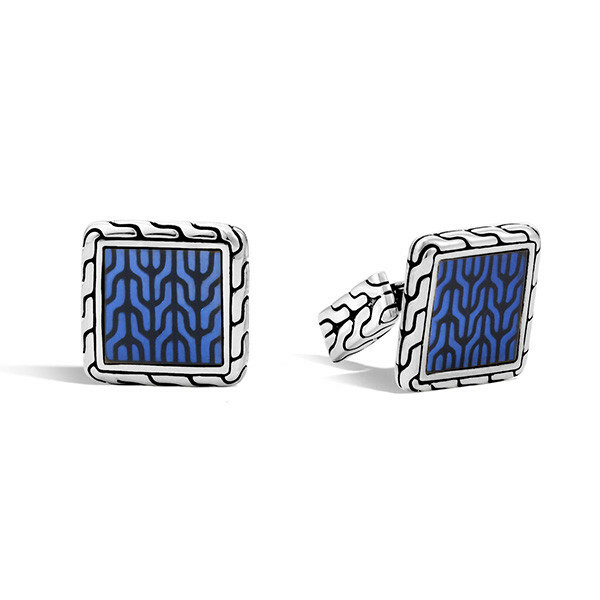 Sterling silver, hand carved with the classic chain motif, frames a gorgeous square of blue enamel that also flaunts the classic chain design. 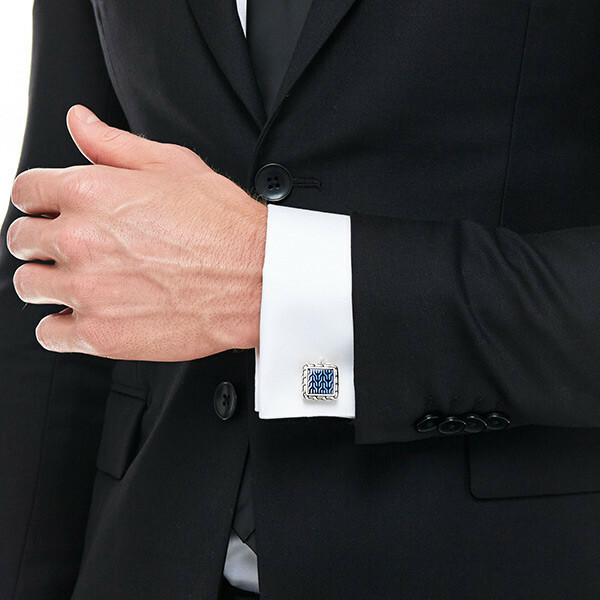 This posh set of cufflinks from John Hardy will add colorful elegance to any formal style.